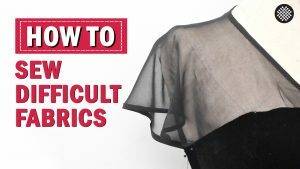 A tutorial on sewing french seams quickly, without any trimming or tricky measuring. This is a perfect method if have less time or just don’t want the extra work. 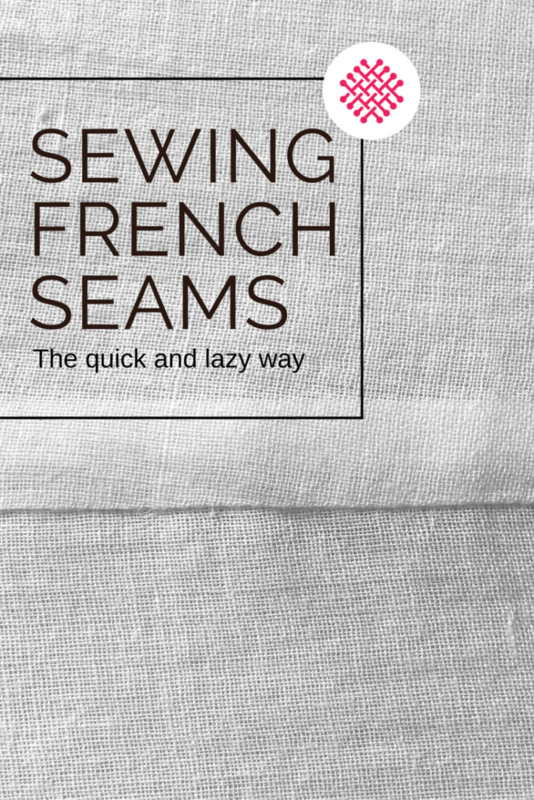 French seams are beautiful, but can be quite time consuming and fiddly if you do it the “proper” way, i.e. first do a narrow 6 mm (1/4 inch) seam, cut away around half of the fabric, press and then do another narrow 6 mm (1/4 inch) seam. 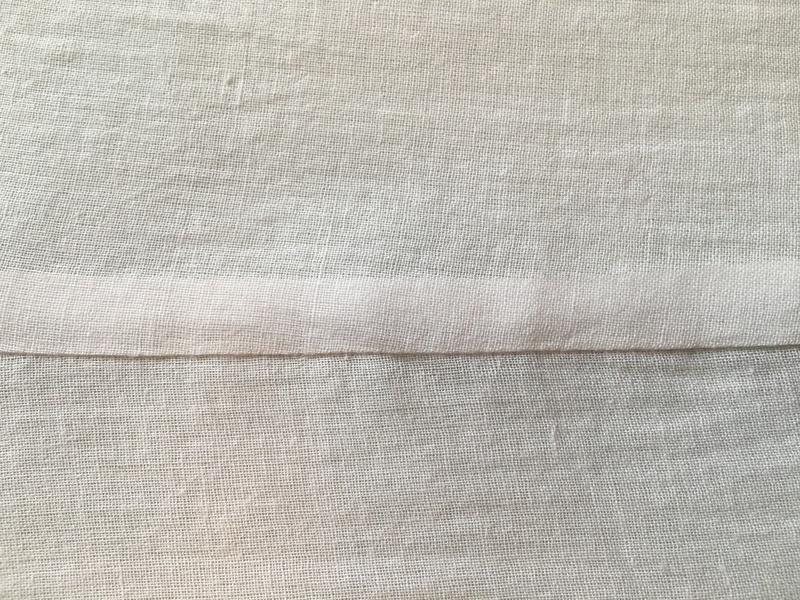 So when I was fazed with doing a gazillion of french seams on my new dress (including a voile lining) I instead resorted to my french seam hack, which is a quicker way do to this classic seam. 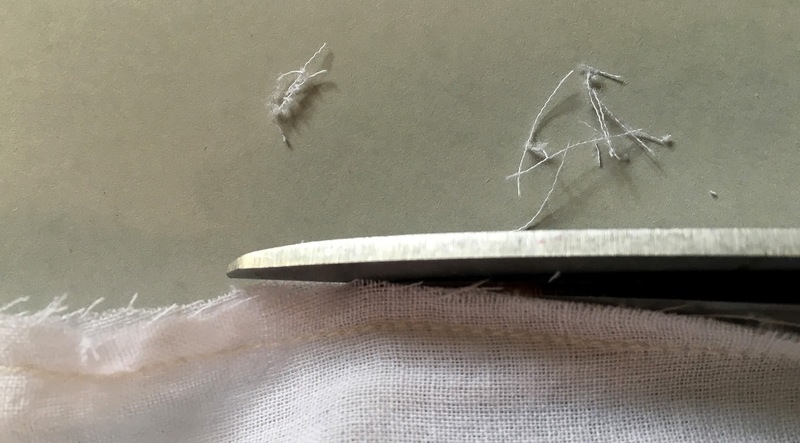 It is not as not as narrow or as as immaculate as the real deal, but good enough if you don’t want or need a couture finish.The trick is to simply change the width (preferably by moving needle position if you can) and skip the fabric trimming and the first pressing. So lets get going! Since my fabrics frayed like crazy I trimmed the loose strands with a scissor. I later tried using the rotary cutter and that worked even better. 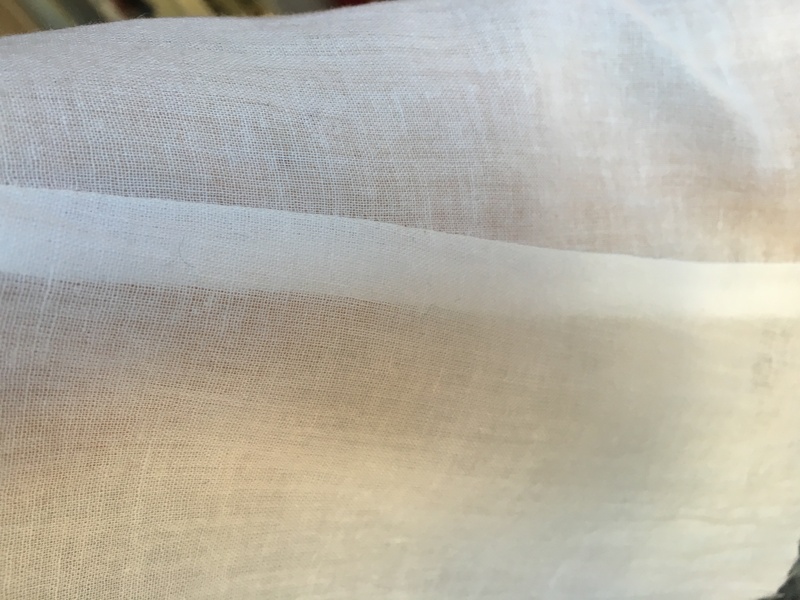 You need to get rid of the threads as they might peek through the seam otherwise. But if your fabric doesn’t fray much, this step is not needed. 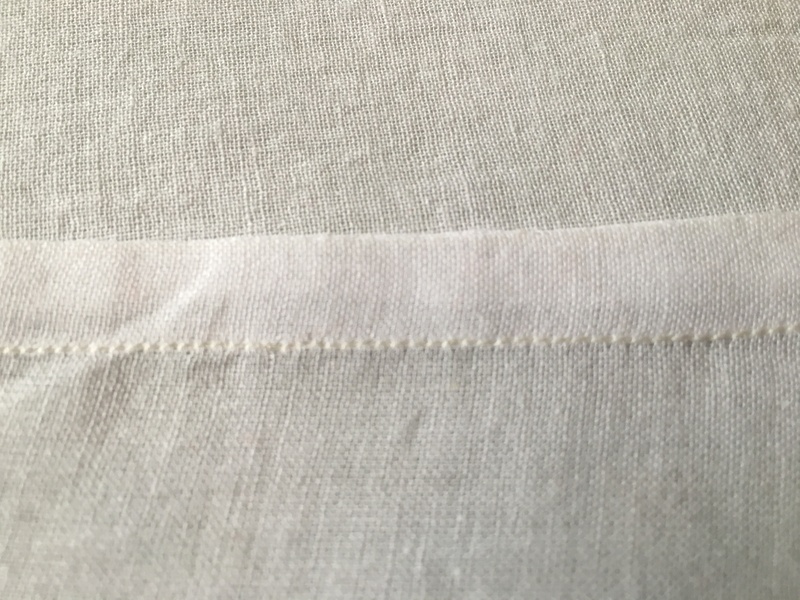 This time I made the seam around 8 mm wide, i.e wider than a traditional french seam, as I wanted to be sure I wouldn’t catch the seam allowance of the first seam. The second seam should be sewn with the right sides facing and the wrong side up. 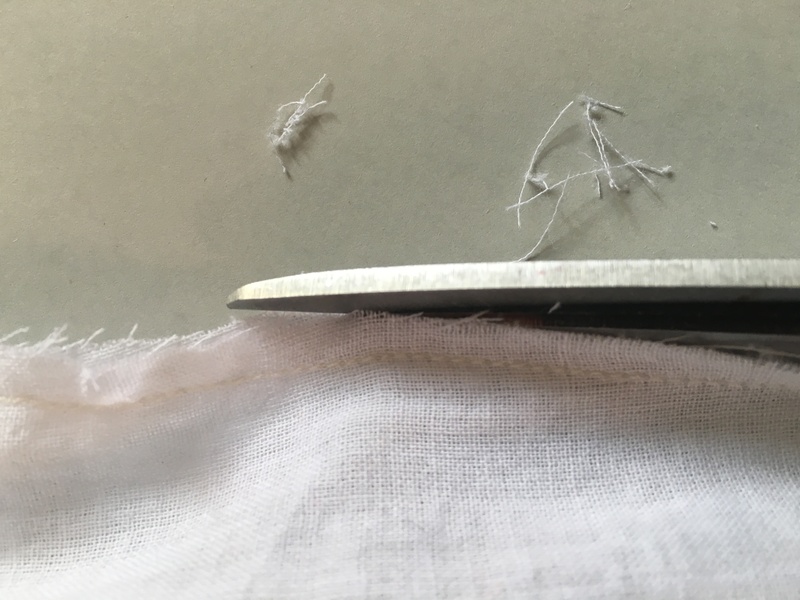 For better result, you could press the first seam before doing this step. But as this is the quick and lazy way, I will not. Instead I just use my fingers to push the seam out while sewing. Yes it is wider and not as refined perhaps as the real deal, but in my book this french seam version looks good enough. 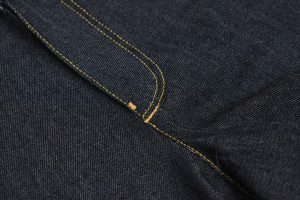 How do you do french seams? 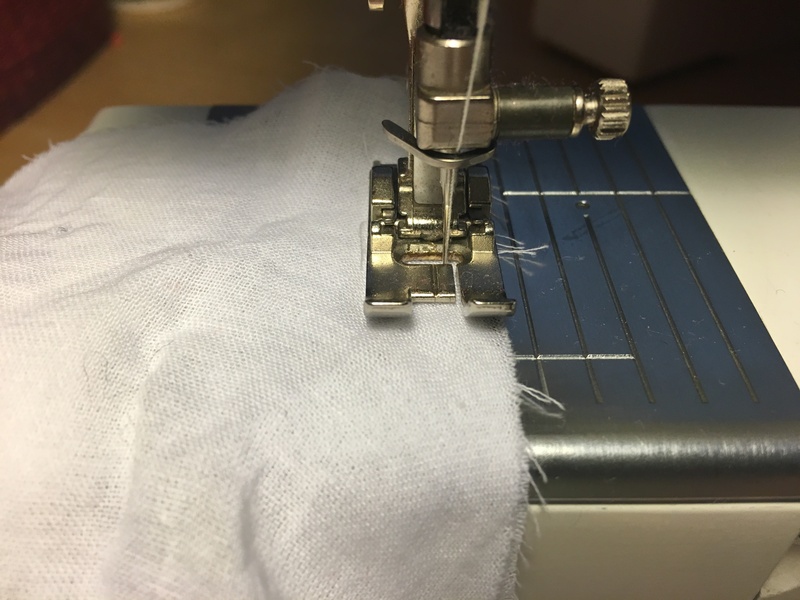 My quick and easy way is to use the serger for the first seam because that cuts off all the messy whiskers from the seam allowance. It does make a thicker seam than the traditional method. I always press because pressing is as important to the result as sewing is. 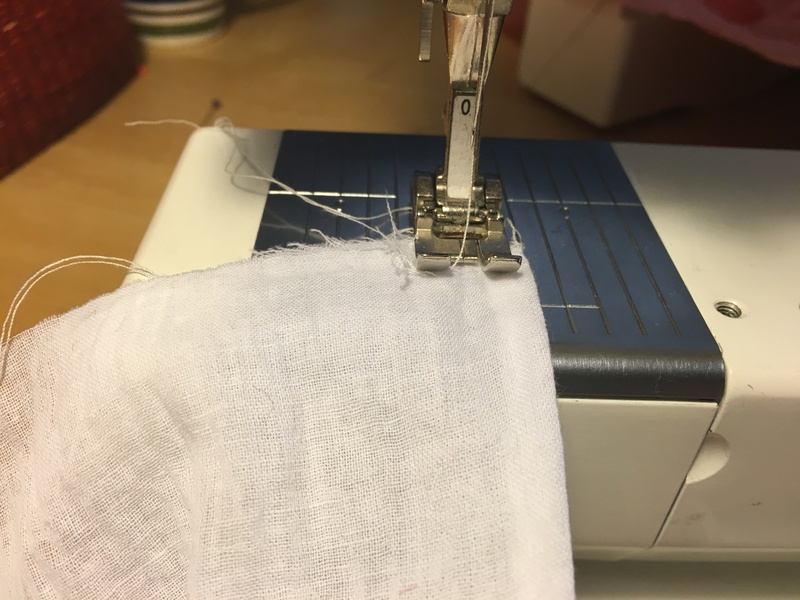 Except that my machine is not so fancy as yours, so I rely on my eyeballs and the seam guide on the throat plate to do the narrow seams, I do French seams exactly this way. No need to press polyester seams — polyester does not press. Finger-pressing cottons and linens and silks is entirely good enough for this technique. That flat-fell method sounds brilliant, I will definitely try that next time! And good point about polyester, no need to press those seams. Something I often forget, and I drive myself crazy trying to press those fabrics like they were natural fibers. I've even tried to press polyester/lycra functional jersey fabrics, and that didn't go well! Title of the article was something like "I Can Wear Angelheart to Work!" Late 80s, early 90s. Lots of good diagrams and photos. I do mine exactly like that. I don't have time or inclination for fancy ways particularly for everyday stuff. Word! That is exactly how I feel about it too!